Gobassing.com is the most comprehensive Bass fishing resource for Mozambique. We provide detailed information on accommodation at Bass fishing lakes, rivers and private waters in that country. Lakes and dams include all the information that Bass anglers require to make the most of their precious fishing time and of course a list of hand picked accommodation that we have found to be suited to the needs of Bass anglers and their families. Set on the edge of Lake Chicamba, Casa Msika Lodge offers comfortable accommodation and good food. More info . 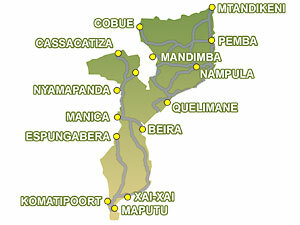 . .
Find Mozambique Accommodation through our online partner Booking.com More info . . .